One bill would allow only one recount in each election. Another would address situations in which voters get the wrong ballot. Delegates also approved a measure that would reshape the Board of Elections. WASHINGTON — Virginia’s House of Delegates on Thursday approved a series of election law changes, some of which are specifically tied to the drama and mistakes during the Nov. 7 elections. The House unanimously approved a bill that would clearly state only one recount is permitted in each election. While that appeared to be the intent of previous laws, questions were raised about unclear portions of the code after a recount led to a tie in Virginia’s 94th District. Those questions centered on whether the loser of the random drawing should be permitted to ask for a second recount. The bill would also specify that a random drawing is the proper way to resolve a tie after a recount, and allow the loser of a random drawing to contest the election. 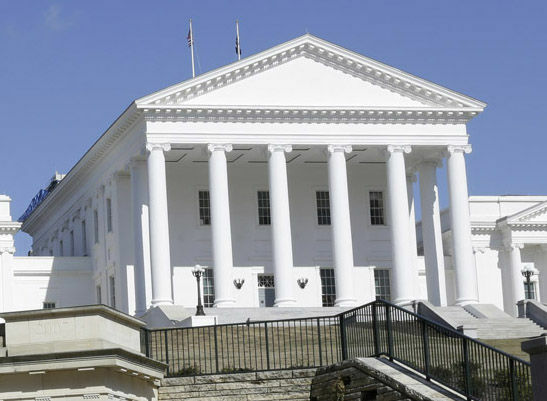 Separate bills tied to the problems in the Fredericksburg area, where dozens voted in the wrong House of Delegates races, also gained final approval Thursday in the House in a 91–6 vote. Del. Mark Cole, whose district was one of those with misassigned voters, introduced the bill that would allow voters who realize they are getting the wrong ballot to cast provisional ballots for each race, with the local Electoral Board determining later which one to count. In the 28th, 88th and 2nd House Districts in November, a handful of the at least 147 voters who cast ballots in the wrong races realized there was a problem at the polls. A separate Cole-sponsored bill that passed 50-48 would also permit the General Assembly to change district lines more often than every 10 years if the changes are meant to align the districts with new voting precinct boundaries drawn by local governments. Supporters hope that could cut down on some confusion at the polls, while opponents worry the changes could be used mainly for political purposes. The House also unanimously approved the decennial technical ban on precinct changes during the census and state redistricting process between February 2019 and May 2021. Under another bill, people voting absentee in-person ahead of an election would no longer be required to provide the last four digits of their Social Security numbers. The House voted 51–47 for a major overhaul of the State Board of Elections and Department of Elections. Under the bill, the three-member board controlled by the governor’s party would be replaced by a six-member board with three Democrats and three Republicans that represent more parts of the commonwealth. The bill would also remove the governor’s power to appoint the Commissioner of Elections, and instead give that responsibility to the new larger State Board of Elections.